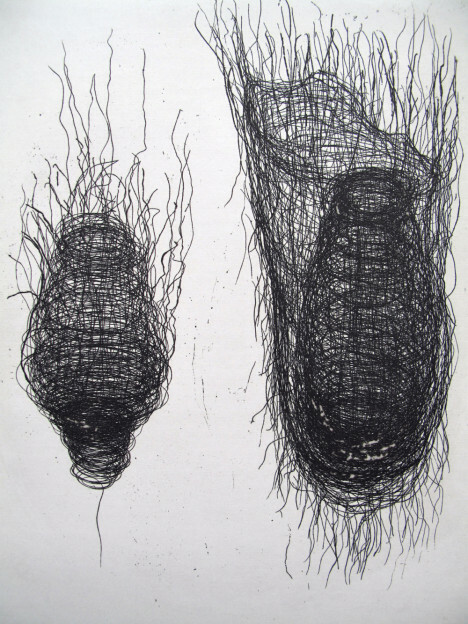 Julia Hutton studied Fine Art at UCA Canterbury and MA in Printmaking at the Royal College of Art, London. 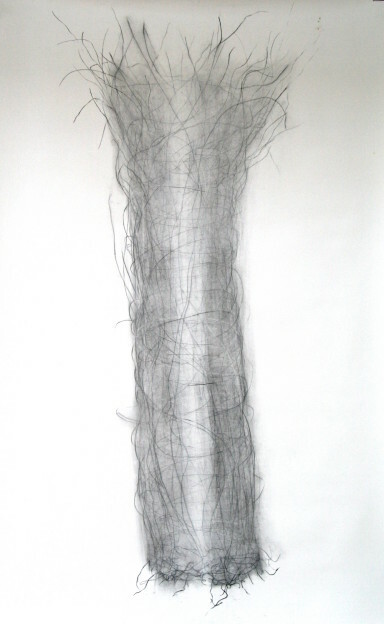 Her work has been exhibited in the UK and overseas and selected for The Jerwood Drawing Prize 2015 and 2016, Drawing Biannual at RWA, Bristol 2015, and The Threadneedle Prize, London 2012. Drawing is the place where I have found a personal language to bring together and express many aspects of experience and thought. 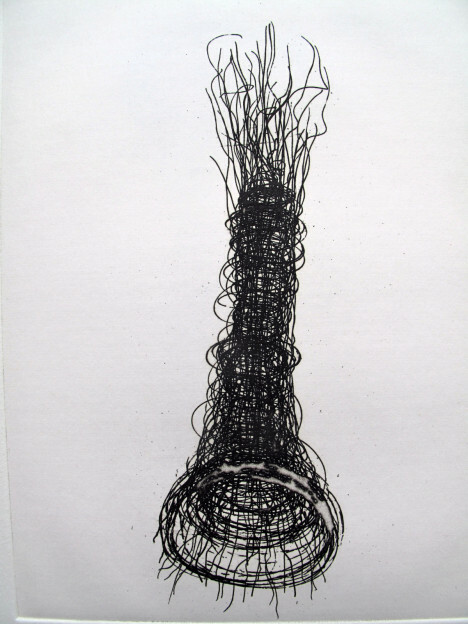 Drawing is my primary practice and forms a link with photography, print and object making. 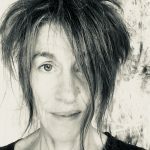 Making visible the intangible is ever-present in my work, which relates to exploring everyday experiences and questions about our changing physical worlds, landscapes, time and memory. Relevant research and texts have often informed my process. 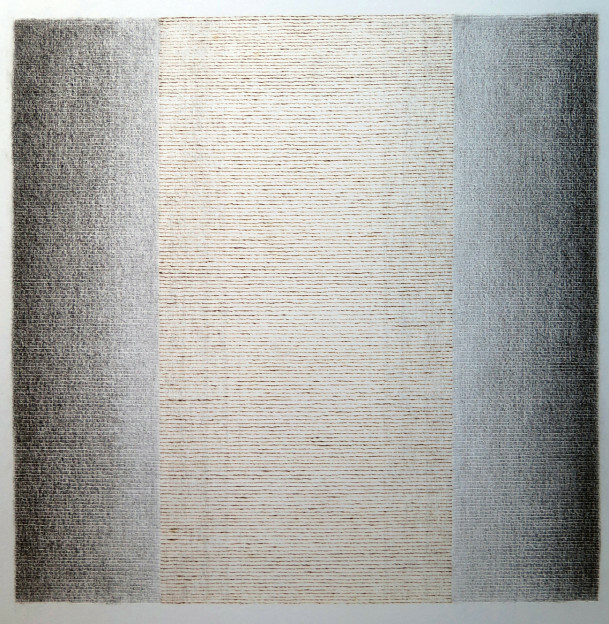 Current concerns in an increasingly fragile world contribute to the subject and definitions within my drawings. We struggle to find what is fact or fiction, fantasy or reality, truth and ‘post-truth’, and the relationship between real and virtual worlds. The predominance of a qualifying reality in material terms can deny the question of how imagination and thinking comprehend reality. For centuries, scientific research, philosophy and theory have tried to come up with different answers relating to the way we perceive our world, whether through physical phenomena derived from direct practical experience, or through the senses of sight and touch and the imagination. Schopenhauer wrote about the ‘transient present’, living in a world of the ‘is’ and ‘has been’, whereas Plato referred to the experience of reality as a ‘continual becoming, never being'(A. Schopenhauer, ‘On the Vanity of Existence’, in Essays and Aphorisms, 1983). Many of these readings have left me wondering about the insurmountable limit to theory,which ‘form[s] a zig-zag line through a society that appears to be continually shifting, like sliding tectonic plates of the Earth’s surface’ (J. Baudrillard, Semiotext, 1987). My primary subjects and drawings have emerged in the context of these considerations. 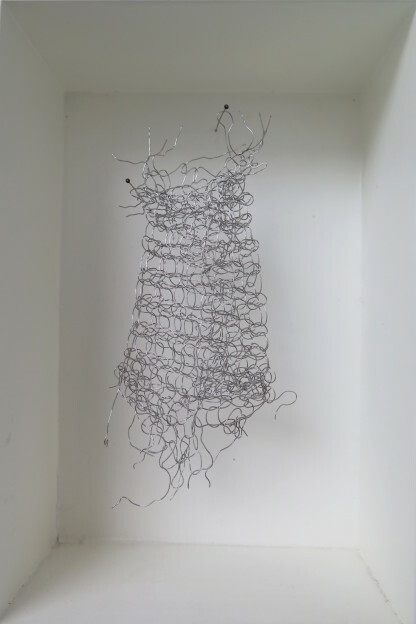 Though I remain grounded in traditional drawing values, I have found further ways of defining and pushing the use of relevant materials in two and three dimensions. 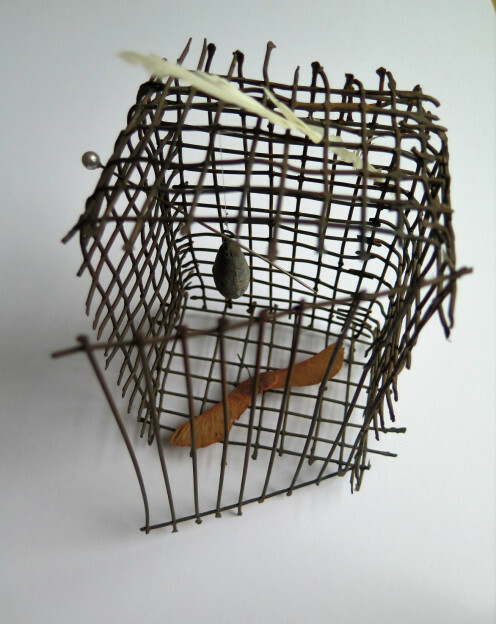 It is only through this interdisciplinary conversation that new ideas occur, giving rise to work made of wire, threads, clay and glass, as well as on paper, muslin and Perspex. The work is driven by a desire to capture the essence of a subject, while the medium is critical to the definition and intention of the line. Drawings emerge through a process of intense looking, and through building up a catalogue, a memory bank of references, from sketchbook-notation ‘first thoughts’ to photographs and texts. They are sometimes made immediately and sometimes worked on over many months. 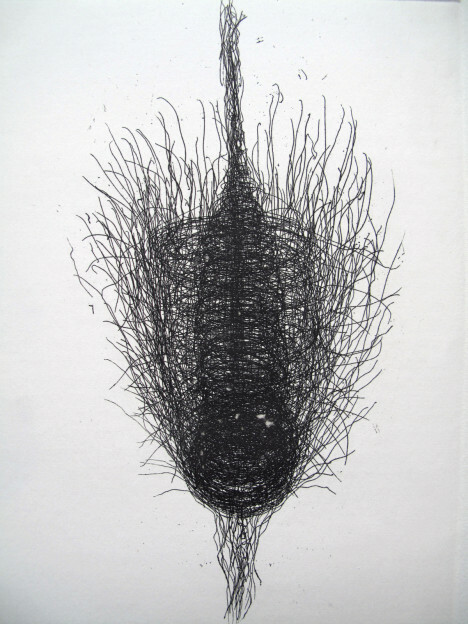 Drawings and etchings made in 2001–6 developed alongside small wire and threaded forms, which were dismantled, remade and redrawn as a cyclical enquiry. 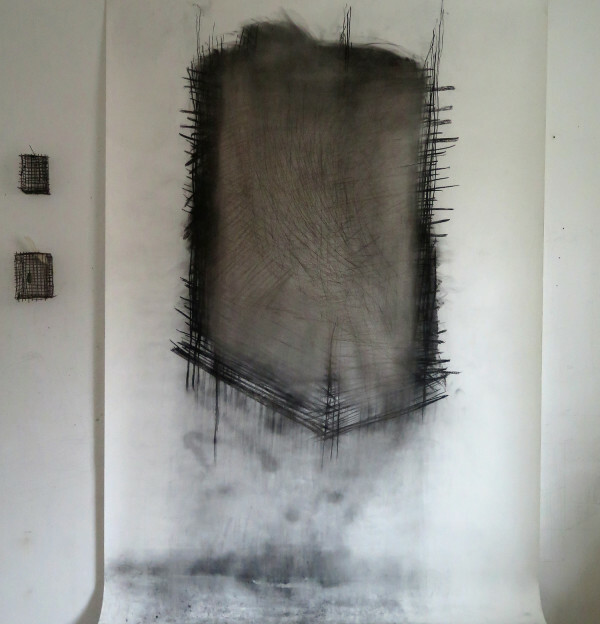 The medium of charcoal supported the intention of the large-scale drawings, Suspended I and II. 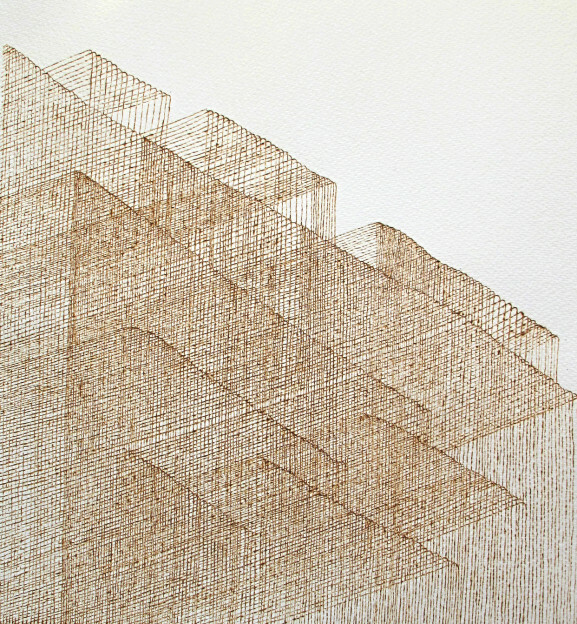 The ability to erase while leaving traces enabled the work to develop into a place of limbo, suspended between a positive and negative state, while the etched line of the smaller drawings, Threaded Form and Unravelling, created a more permanent sculptural line. 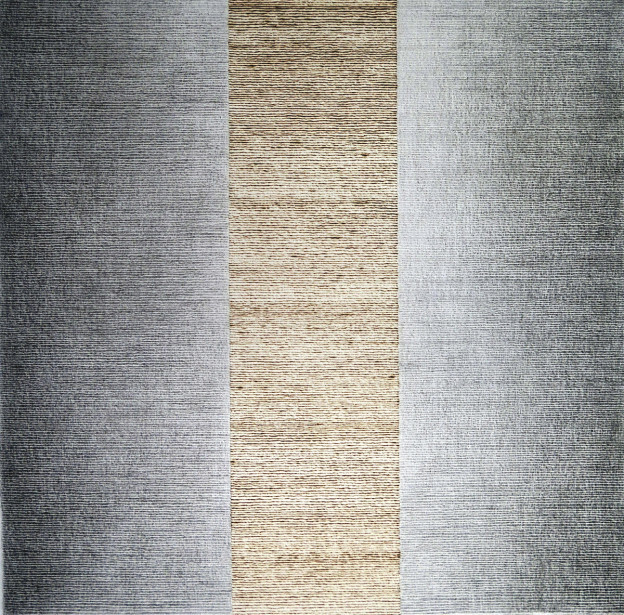 More recently, the Burning Light series has developed from daily drawing observations. 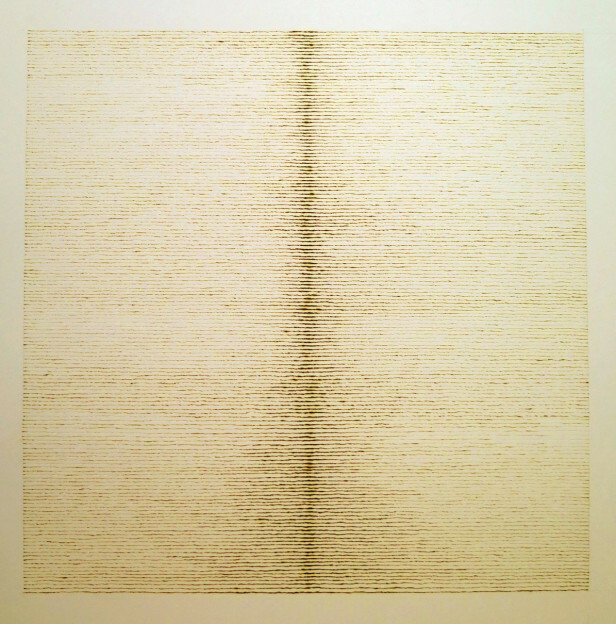 Initial graphite line drawings on the walls of my studio were a direct response to the elusive passage of sunlight. 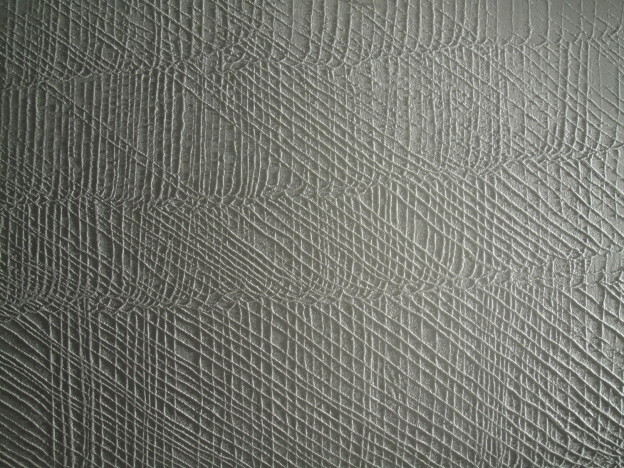 These first notations, built up over many months, detailed minute changes in the qualities and pathway of sunlight, and became a record of a measured passage of time, of nature’s repeated patterns and rhythms. This was followed by a period of research and experimentation with different materials, papers and surfaces, to explore further ways of translating such ideas. My original drawings were transferred from the wall to tracing paper and scanned; then, using 3D laser cutting, the lines were burnt through card and into Perspex. These realisations expanded the idea of bringing light back into the drawing by creating a 3D relief object, which in turn became a ground for prints and rubbings. Subsequent research with the Met Office had a direct impact on the development of the work. In relation to old and new methods of recording sunshine, scientific instruments and digital data threw up considerations about scale and definition. 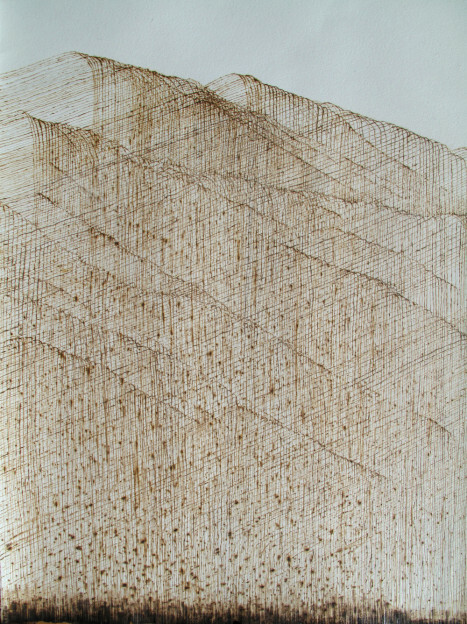 The slow, intimate process of burning a line on the surface of paper was combined with the initial intention of the wall drawings. The line seems to search for permanence in terms of its fleeting subject, and is embedded but never breaks through the paper. The drawings have now become something beyond measurement, while titles and references offer an additional entry point: The Passing Day, The Heat of The Day, The Shortening Day. Sometimes there are ‘breakthrough moments’ in the process of drawing, when through patient reflection new considerations about the subject emerge and move the work on to new and unexpected forms. There is a subtle point where the subconscious and conscious meet, and a drawing can then either self-consciously collapse or discover a fresh vitality and ‘truth’. The latter is what I try to find. 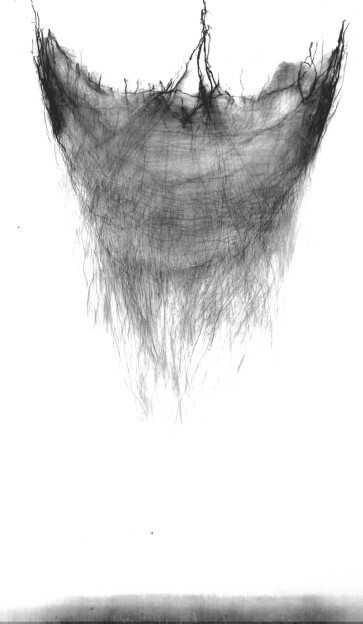 Drawings from the Burning Light series were selected for The Jerwood Drawing Prize 2015 and 2016, Threadneedle Prize, London 2012, and the RA Summer Exhibition 2012.